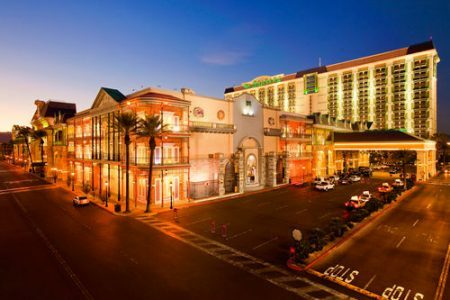 The Orleans Hotel & Casino, 4500 West Tropicana Avenue, combines a superb location, with great amenities. 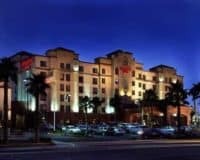 The Orleans Hotel & Casino is an activity-packed hotel and casino combination, which provides plenty of things for the whole family to enjoy. It is situated between the Las Vegas Strip (10 minutes’ drive) and the Red Rock Canyon, making it an ideal place to explore both the magic of the entertainment capital of the world and the wonders of the much-underrated Nevada countryside. The hotel is packed full of great entertainment options, foremost of which is its very own casino, which caters to all levels of gambling experience, including table games, slots and much, much more. It also offers plenty of great dining options, with a range of cuisines from around the world and plenty of bars for thirsty guests. While there is also a plethora of great family-friendly activities, including its very own cinema that features all of the latest blockbusters and its own bowling alley. 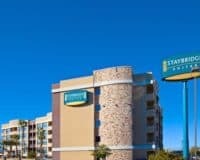 The hotel also contains its very own spa, where you can relax and treat yourself to some you time, a refreshing pool where you can cool off during the hot Nevada summers and a modern fitness center where you can maintain your usual regime. 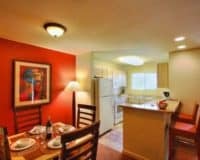 Along with the things that you would expect like free parking and easily accessible WIFI that is available throughout the property. The rooms are comfortable and modern, providing a range of great features, which cater to all tastes and needs. Each one comes with air-conditioning, its own private bathroom, and a television equipped with cable television. While there are extras and add-ons, which will depend on what you choose. The Orleans Hotel & Casino is an excellent choice for anyone visiting Las Vegas, combining a superb location, with great amenities to provide an all-inclusive experience that the whole family can enjoy. This makes it a place for all tastes, although the range of entertainment options makes it especially good for those with children.